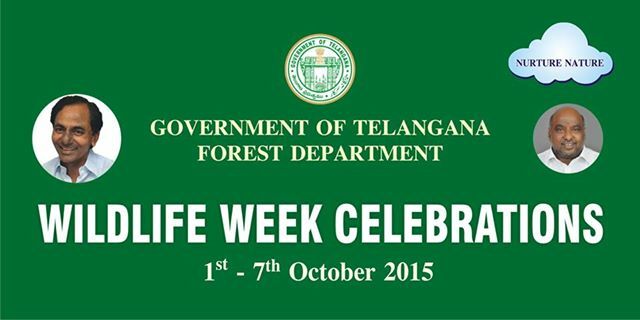 Telangana State Forest Department is celebrating wild life week from 1st to 7th October 2015. As part of that, they will be hosting a painting competition for students at Raahagiri on this Sunday (4th October). The topic for competitions is "Importance of wildlife for presence of human life".